Dining in one of these Las Vegas Japanese restaurants is a must for any foodie and newbie alike! Anyone who tried good Japanese cuisine at least once, was swept of their feet. I was swept so hard off my feet I still can't get up. In any case, Vegas offers quite a few authentic ethnic Japanese restaurants, as well as plenty of sushi bars. Some of these restaurants below specialize in sushi, others in noodles, yet in others you can taste a little bit of all the best dishes Japan has to offer. 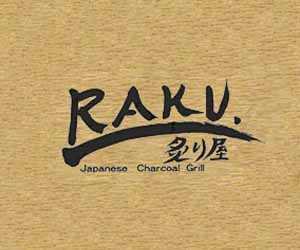 Review: The most highly praised of all Japanese restaurants in Las Vegas, Raku is located just a short cab's ride from the Strip. It's not the cheapest, but thanks to its distance from the Strip, the prices here are quite affordable. Many reviewers commented on the high quality and the great number of dishes on the menu. Many commented on the impeccable service of great waiters who care to explain every dish on the menu and the way to eat it. The atmosphere at Raku is relaxed and quiet. As they are very popular, you will need to make a reservation. Reportedly, the reservation can only be done from 2:00 pm to 5:00 pm. Among the most recommended Japanese dishes are Oden (fish cakes), Kushi (Kobe beef tongue), Bai Gai (Japanese sea snails), Kakuni (pork belly), Seigo (Japanese sea bass), pork cheek, Kobe beef with garlic, agedashi tofu made in-house. Raku, as well as Monta Noodle House - Japanese restaurant reviewed below, are located on a plaza known as Seoul Plaza. There are many Asian restaurants in Seoul Plaza. Among all of them, Raku and Monta Noodle House are the most popular Japanese restaurants in Las Vegas. Perhaps the plaza should be renamed Tokyo Plaza! Review: Don't let the fact that it's a tiny restaurant is a hole in the wall discourage you from going there! 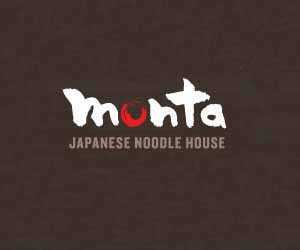 Monta Noodle House is one of the best Japanese restaurants in Las Vegas with some of the most incredible ramen - Japanese noodle soup. They don't offer much variety of dishes, but their noodles, according to multiple reviews, are to die for! They have a few varieties of noodle broth (pork and tofu), as well as Gyoza (fried dumplings), and a few side dishes. But this is definitely a go-to place for a ramen fix! Monta Noodle House is located at the Seoul Plaza (see above). Review: Musashi Japanese Steakhouse is among the best Japanese restaurants in Las Vegas. And it's not a regular restaurant, at least not according to the American standards. Their chefs are teppanyaki show chefs - if you haven't heard this before, they are chefs who perform a "teppanyaki show" while cooking in front of you. They show involves juggling utensils, making a volcano out of onion rings, and other tricks. 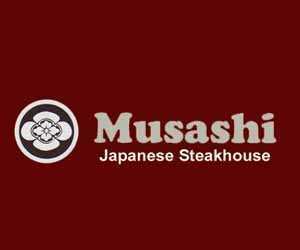 Many reviewers noted that the shows at Musashi are hilarious, steaks are delicious, sushi is incredible and the sauces are made right in front of you. Reviews This wouldn't be a complete list of the best Las Vegas Japanese restaurants without TAO! Although TAO is not as authentically Japanese as the other restaurants on this page, it does offer a high-end interpretation of Japanese dishes. However that's not why this restaurant is so popular. 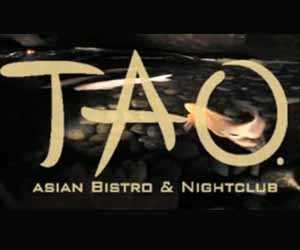 TAO Restaurant is part of TAO Nightclub - one of the most popular nightclubs in Vegas. The decor is incredible with Buddah statues, tubs full of rose petals (sometimes there are beautiful women inside the tubs, other times they are empty), and Oriental ornaments throughout the restaurant. The atmosphere here fun, the crowd is young, and the music is loud - don't go there for a quiet romantic dinner! Reportedly, food here is excellent and not that expensive, despite the location. Plus, dining at the restaurant will save you having to wait in the line and the cover charge, in case want to go dance at the night club later. Just ask them for a stamp. 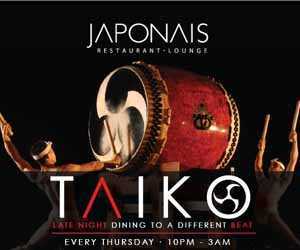 Review: Japonais at the Mirage Hotel falls in the high-end spectrum of Las Vegas Japanese restaurants. The atmosphere is very enjoyable and relaxed. The interior consists of several lounges and dining areas, each with its own unique decor, created by designer Jeffrey Beers. One hot item on the menu at Japonais is Hot Rock - a small rock that they bring to your table, on which you can cook your own meal. The food here, prepared in the modern Japanese style, is delicious and artistically presented. Review: Makino at Premium Outlets is another location of the Makino chain reviewed above. This location also had amazing reviews, so I decided to include it into this list of the best Las Vegas Japanese restaurants. Plus, its location in downtown Las Vegas may be more convenient for you. Review: Among the best Japanese restaurants in Las Vegas , there are two locations of Kabuki - a chain of restaurant specializing in sushi. This one is located at Town Square Mall, the other in Summerlin (400 S. Rampart Blvd., Suite 190). If you are looking for high quality sushi, made to order, this is the place. 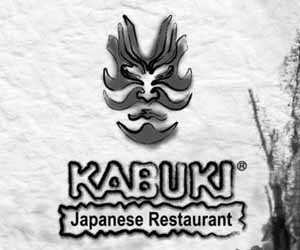 Kabuki deserved excellent reviews from visitors, praising the variety and the quality of sushi. 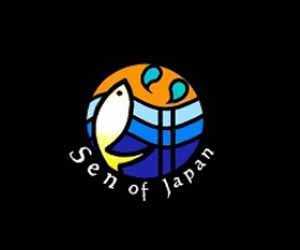 Review: If you are wondering whether there are Japanese restaurants in Las Vegas that offer both excellent sushi and other dishes, Sen Of Japan is the place! Reportedly, what they offer is not the most traditional Japanese cuisine, but some sort of interpretation of it. Yet, plenty of reviewers are very happy about the sushi and the other dishes. Especially recommended are Short Rib Wraps, Nigiri sushi, Duck Touban.